We have 2 great projects for this class, the Lucy Lunch Wraps and the Sadie Sweet Snacks. All supplies are included! 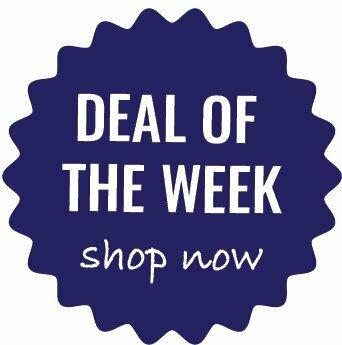 We have selected some great fabrics for this class for you to choose from. 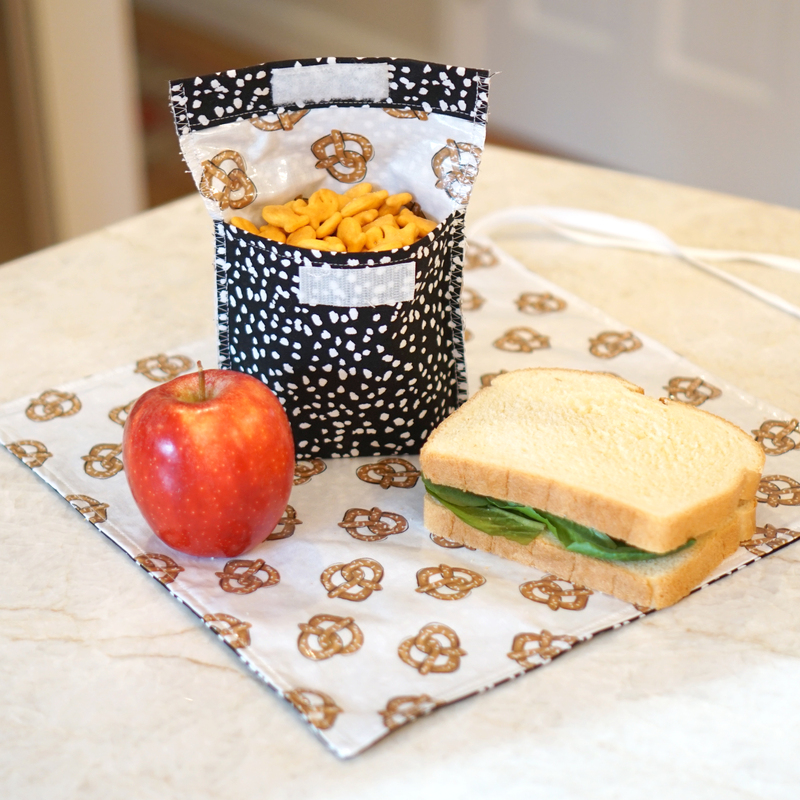 The Lucy vinyl-lined, reusable lunch wrap is a tidy way to wrap a sandwich, burrito, sub, and more. Unwrap your eats, and Lucy is the perfect placemat to host your tasty adventure. Use Lucy to wrap pot luck serving spoons for tidy transport. Lucy’s unique design, and corner tie, fit all sorts of yummies and messies. Crackers, snackers, cookies, and cheese – Sadie’s perfect for all of these! Pack your lunch, or pack your purse. 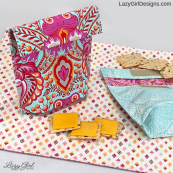 Skip the vinyl and she’s perfect for sewing supplies or other little goodies. Sadie’s gusseted bottom allows her to expand and stand. Vinyl lined, Velcro closure.